… love never ends, if you keep it alive. 14 December 1984. I always count until a second before 19h00 thinking…. I also had a Dad. After that, nothing. At 19h05, I dry my face and resume life. I’ve done this ritual for as long as I remember. My life was forever changed from that moment. I was 11 years old. Oupa Mike was crying. I felt confused. Oupa Mike didn’t cry. I remember just observing, not grasping the depth of what just happened. I do remember my Mammie’s desperate grief, the tears that made her physically ill, the hopelessness and the forever you were not going to come back for. I remember how loudly you laughed, I do remember you playing the guitar and singing. I remember milkshake and biltong. I remember someone placed a guitar made from flowers on your grave. It reminded me of Elvis. I remember you, but you voice is silent in my memories. I hate I can’t remember what you sound like. Oupa Mike stepped in and became my Dad. Solid. Dependable. Protective. How very blessed I am! Then, Dad Alex took us all on his shoulders. 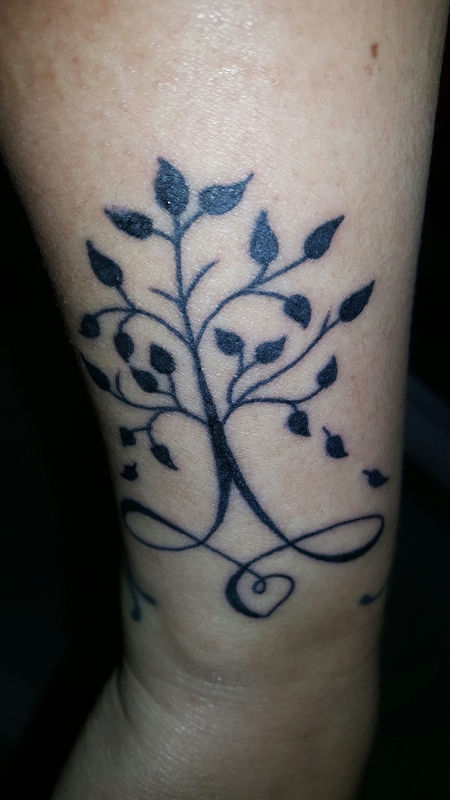 You are the fallen leaf on my new tattoo, on the left. 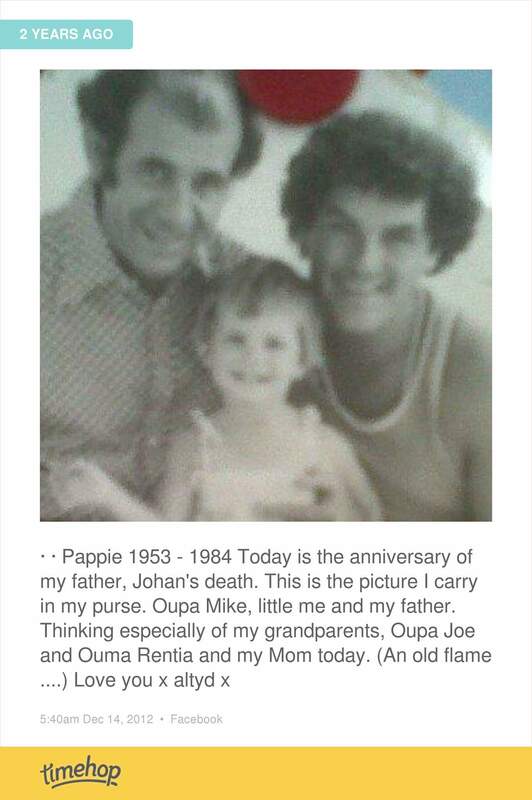 There are two falling to the ground in remembrance of Oupa Mike and Ouma Chrissie. Previous Article Koek, tert en die beste oats ooit! All these life-changing events have molded you into such a strong character with so much depth and beauty. I like your tradition remembering your dad. 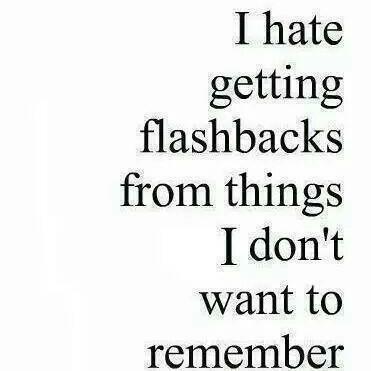 Taking time to think back without getting stuck in the past is not always easy.